These coil heads are made to be used with the eGo One Mega Atomizer. They come in two different metals, Nickel and Titanium. The reason for this is to allow you to vape at different temperatures. The recomended temperature when using the Nickel Heads is 500-550 F(260-290C) and the recomended temperature when using the Titanium Heads is 450-500 F(230-260C). 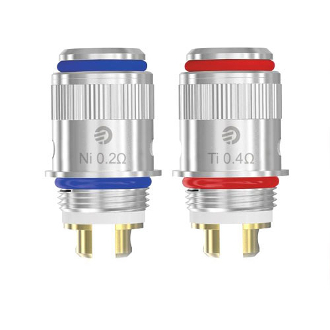 Just an FYI, the Nickel Heads have a resistance of 0.2Ω+-0.0Ω and have red O-rings and the Titanium Heads have a resistance of 0.4Ω+-0.0Ω and have blue O-rings.